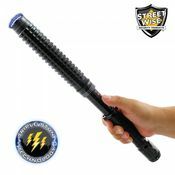 The Lightning Rod* is the strongest stun pen available on the market, yet at 6 inches long and about an inch thick it is easy to conceal and handle. 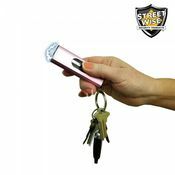 Stun guns are an excellent method of self defense. First, they can serve as a deterrent. Just test firing this unit into the air is often enough to stop an attack or aggressive activity. As the bright electric current pulsates between the test prongs it creates an intimidating electrical sight and sound. 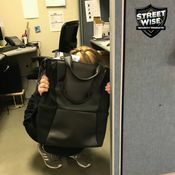 An attacker with any sense at all will stop in his tracks. 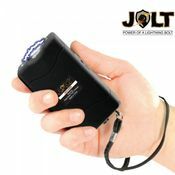 If the sight and sound doesn't stop him a jolt from this unit certainly will! 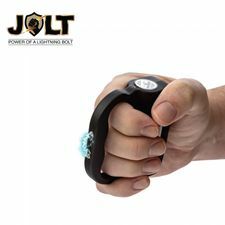 Simply touching him with the device will deliver a high voltage shock causing loss of balance and muscle control, confusion, and disorientation- bringing him to his knees and making him incapable of further aggressive activity. Full recovery takes about five to ten minutes. There is no permanent harm. 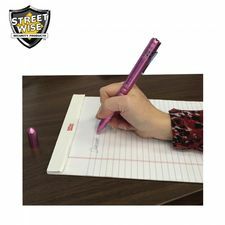 The Lightning Rod is the strongest stun pen available on the market, yet at 6 inches long and about an inch thick it is easy to conceal and handle. 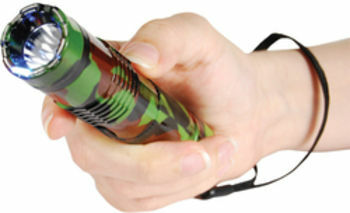 It has 2 bright LED lights to serve as a flashlight for nighttime safety. 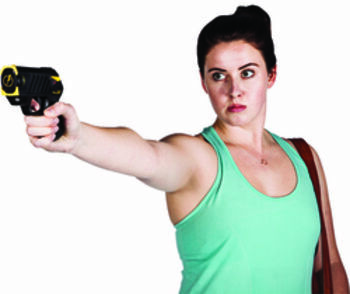 It has a protective safety cap and on/off safety switch to prevent accidental discharge. Rechargeable batteries are included and installed. The unit comes with a holster with belt loop and recharging cord for easy recharging. The dimensions are six and one-half inches x three-quarter inches. The LR1200R comes with a lifetime limited warranty. *Actual voltage output is difficult to measure and verify, but this unit compares to other brands that claim to be 1,200,000 or more volts. 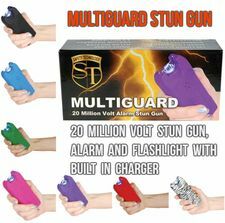 The actual voltage emitted by any stun gun is difficult to measure but recently many stun guns have come to the market that claim to be millions of volts. We wanted to show that the output of our model is similar to others which claim to emit 1,200,000 volts. However, we wanted to be careful to not make an exaggerated claim which can not be verified so we have chosen to use 1,200,000 as a model number and not as a measure of voltage. Please contact us is you have any additional questions.